Radiant femininity and sophisticated glamor. 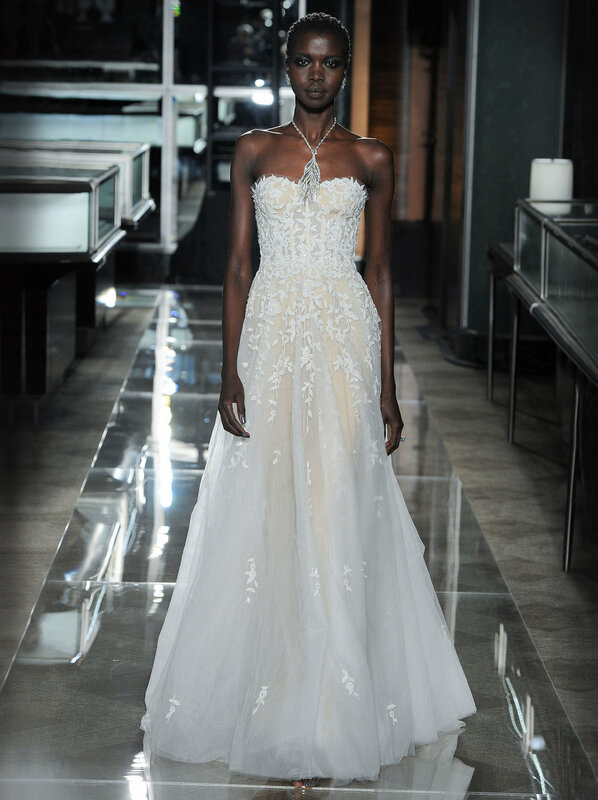 With a style described as “multi-cultural European mixed with a New York approach,” the Reem Acra bridal collection is both innovative and couture. Her meticulously constructed gowns feature opulent beading, elaborate embroideries, and layered texture details for looks that range from understated chic to ornate. For Spring 2019’s “The Prophet Collection” the designer showcased her signature regal and ethereal sensibility, while injecting a bit of modern sensuality and sexiness. Always romantic, this timeless yet contemporary collection is designed for a sophisticated bride who wants to look breathtakingly beautiful and sensationally fashionable! 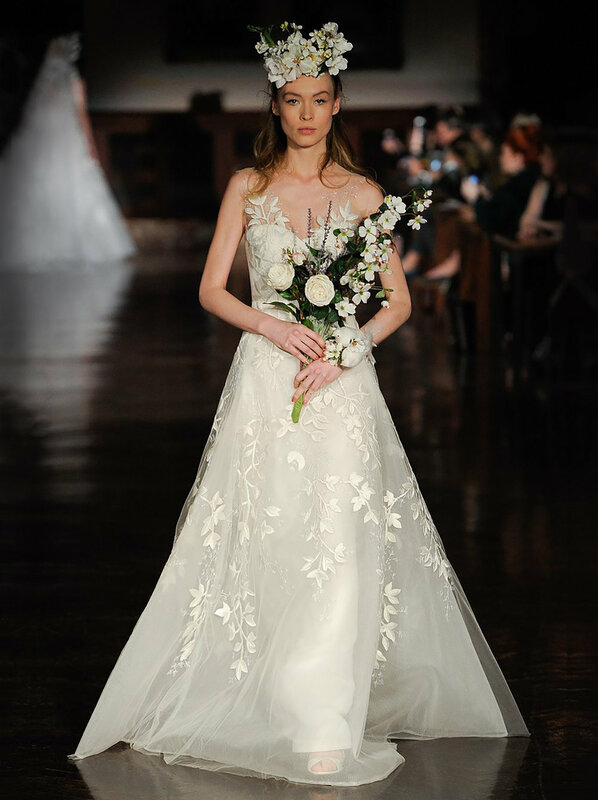 Reem Acra Bridal was born in 1997 after a style-setting friend wore Acra’s first bridal design to her society wedding and sparked international interest in the designer. Since then, the collection has become renowned for transforming classic bridal designs through the finest silks, intricate beading and exquisite embroidery.